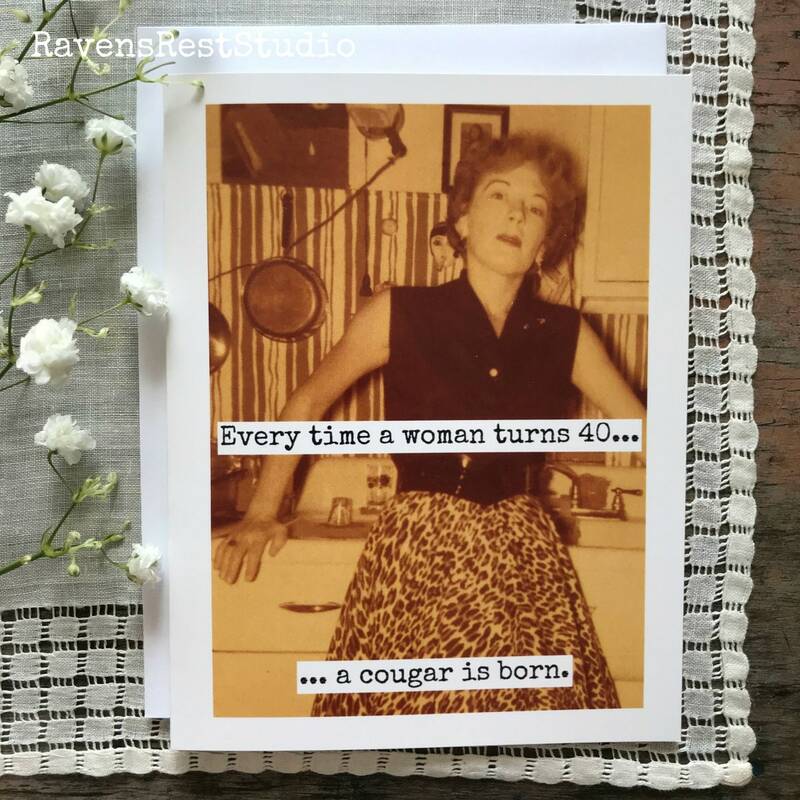 This card features a vintage woman in her kitchen and reads: "Every time a woman turns 40... ...a cougar in born.". Shipped quickly and arrived on the other side of the country in just a few days. Looks great! I'm sure it'll go over well. The card arrived quickly and in excellent condition. 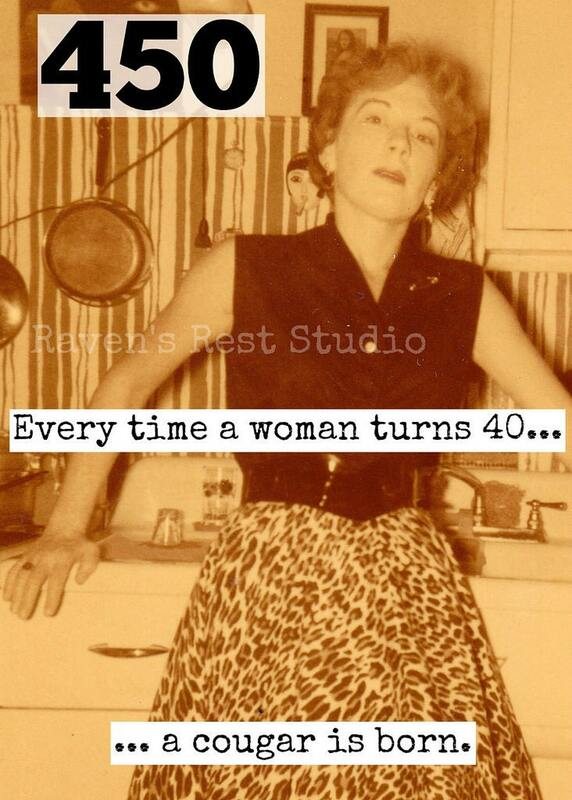 It was perfect for my friend’s big 4-0! I would recommend this store and will shop here again for sure! 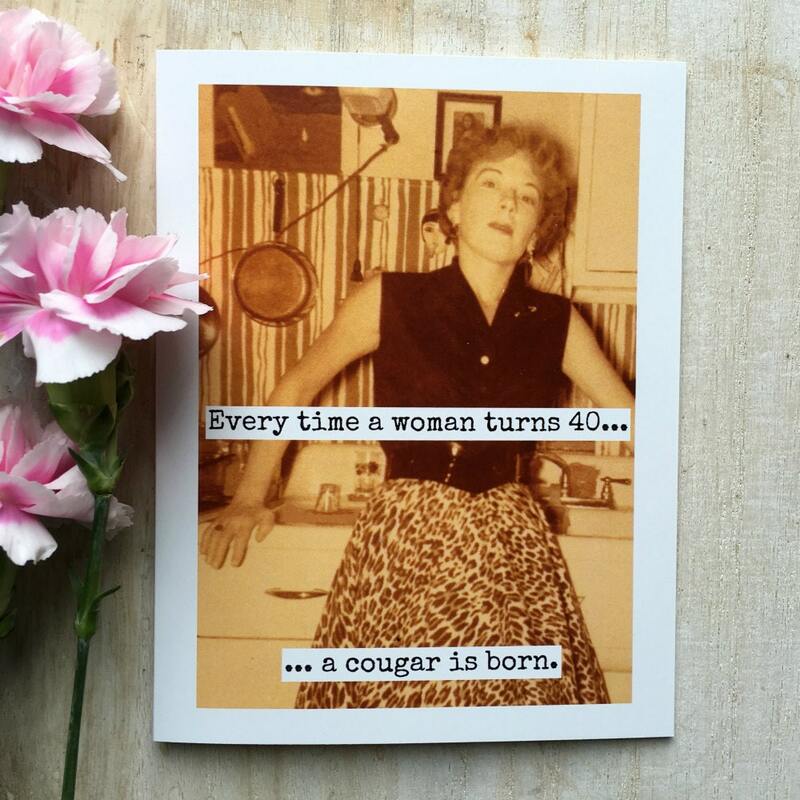 A+ great card and fast shipping. Great quality! Love it, thank you!